Come discover your magnificence at Serendipity Birthing. Whether you are inviting conception, celebrating your pregnancy, meeting your baby, or watching your kids grow, we are a community that cares about you and encourages you to be your true self. This is your place to learn and be inspired. We want to help you make your journey to and through motherhood a beautiful and empowering experience. We are here to meet your challenges and provide you with the tools and support necessary. Come join our community and feel strong, confident, and uplifted. 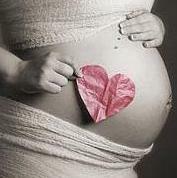 Serendipity Birthing is a lifestyle-focused destination for pre-conception, pregnancy and beyond in Orlando, Florida. We offer a full range of services, classes, and programs from doula care, fertility, prenatal and postnatal yoga, breastfeeding support, infant massage, wellness, and education. We also specialize in osteopathic manual therapy and cranial osteopathy.